If you’re on antidepressants and are trying to fall pregnant already, you may be worried about the risks of taking your medication during pregnancy – or worse, you may be worries about the risk of taking your medication during pregnancy – worse, you may be unaware that there are any risks involved. What your should know is that some antidepressants may interfere with your baby’s development. But stopping treatment may cause a depression relapse and withdrawal symptoms, which can be harmful to you and your baby. Because of this, it’s important to carefully weigh the risks and benefits of continued treatment. 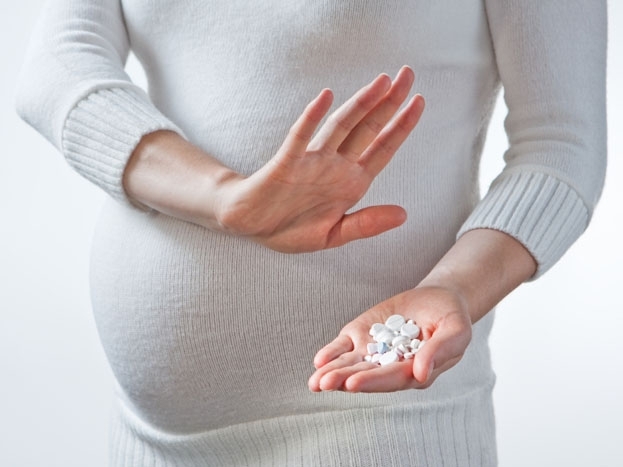 Several antidepressants are generally considered safe during pregnancy. These includes bupropion, tricyclic antidepressants and certain selective serotonin inhibitors (SSRI’s) such as citalopram, fluoxoetine and sertraline. However, very few medications have been proven unequivocally safe during pregnancy, and so there are some risks to consider. Firstly, some research suggests that antidepressants may increase the risk of miscarriage. Because of this, some scientist believe that his medication may in time also be found to increase the risk of birth defects – the thinking being that a medication that can cause enough damage to result in miscarriage could also result in damage that’s sufficient to cause developmental; abnormalities, but not pregnancy loss. Although existing evidence is somewhat mixed, one particular antidepressants, the SSRI paroxetine, has been associated with an increased risk of heart defects in developing babies and should therefore be avoided during pregnancy. But even if the risk of the birth defects associated with most antidepressants is sufficiently on to merit little concern from most doctors, these medicines may yet put your baby at risk by increasing the likelihood of a preterm delivery. Babies born before 37 weeks are at greater risk of dead and developing various illnesses. What’s more, some studies have shown that babies born to mothers taking antidepressants are more likely than average to exhibit feeding difficulties, persistent crying and jitteriness as newborns – in part because of a treatment withdrawal effect. The supposedly safe SSRIs have also been implicated in the development of abnormal heart conductivity and elevated blood pressure in babies’ lungs, both of which may at worse be fatal. Limited data further suggests that the use of SSRIs may result in low birth weight (which also increase the likelihood of illness and death) and may even increase the risk of later behavioural problems by hampering proper brain development. In addition, antidepressants of the monoamine oxidase inhibitor variety have been shown to potentially impair foetal growth and worsen maternal high blood pressure, so they’re a definite no-no during pregnancy. While all of this may sound terrifying, there’s still some debate about whether any of these supposed side effects are indeed plausible, since the results of scientific studies have been somewhat inconsistent – possibly because of the difficulty in conducting such studies for logistical and ethical reasons. Most doctors seem to agree, though, that the potential risks of taking antidepressants during pregnancy are extremely low, being only mildly (if at all) increased above what’s expected in any normal pregnancy. On the other hand, untreated depression during pregnancy is thought to increase the risk of miscarriage, preterm delivery and low birth weight. Interestingly though, there seems to be a lack of scientific data to back up this assumption – no studies published to date have shown that pregnancy outcomes are improved in depressed women taking antidepressants compared with those aren’t taking such medication. What is however worrying is that women who are depressed during pregnancy are more likely to suffer from postpartum depression, which can have serious and even life-threatening consequences. Further, sudden discontinuation of antidepressants medications increases the risk of illness and hospitalisation, often because of poor pregnancy management and suicide attempts. So what does all of this mean? First and foremost, you need to discuss all your options with your doctor. If you have mild depression, you may be able to stop treatment under medical supervision and manage your symptoms with therapy. Indeed, research has shown that cognitive behavioural therapy can be as effective as medication at treating mild to moderate depression. Some scientists even argue that antidepressants in general are not as effective as the medical world would have us believe. Other possibly useful, non-medicinal options for improving depressions symptoms include physical exercise and relaxation techniques. There’s also some evidence that supplementation with omega-3 fatty acids may help – but remember to check with your doctor to make sure that any supplements you take are safe during pregnancy. If you suffer from severe depression, these alternative options may not work for you and you may need to continue medication throughout pregnancy. If you decide to do so, make sure that the doctor who prescribed the antidepressants is aware that you’re pregnant or are trying to fall pregnant, so that a treatment option that is effective but safe for you and your baby can be selected – frequent psychiatric assessment is also recommended. In addition, it’s important to alert your obstetrician of your medical history and medication use, so that your baby can be closely monitored before and after birth to ensure early detection and treatment of any abnormalities. Whatever you decide to do, don’t try to do it alone. Of course you want to do what’s best for your baby and yourself. But ignoring the symptoms of depression during pregnancy or underplaying the risks of taking antidepressants (or other medications) can have disastrous consequences for you and your baby. Know that there are safe alternatives out there than can help you get through your pregnancy without compromising your well-being or that of your baby. If you’re taking antidepressants while breastfeeding, small amounts of the medication will be passed on to your baby through the breast milk. However, the dose the baby receives is minimal and therefore unlikely to cause any side effects. Some research suggests that antidepressants may stunt babies’ growth, but this effect isn’t entirely clear. At present, it’s considered that the benefits of breastfeeding far outweigh any potential side effects associated with antidepressant use. Is Their Really A Good Reason To Stay On Antidepressants During Pregnancy? Some scientists believe that antidepressants may actually provide little clinically meaningful benefit for treating depression, with a number of studies suggesting that they’re largely ineffective at treating the symptoms of mild to moderate depressions and provide only minimal benefits in severe depression. Because of this, these researchers argue that continued treatment during pregnancy simply isn’t worth the risk – especially if these medications are later found to be harmful. Although antidepressants reportedly correct imbalances in brain chemistry that supposedly cause depression, there is little scientific proof of either of these two assumptions – indeed, the underlying mechanisms of depression and how antidepressant really work still isn’t clearly understood. The widespread belief that these medicines are highly effective in the treatment of depression may stem from what’s called publication bias – studies that show a positive effect are published in the scientific literature, whereas those that show antidepressants to be ineffective are likely to remain unpublished because such findings are deemed uninteresting. Making things even more complicated is the placebo effect – numerous studies have shown that people who are given a placebo report virtually the same level of improvement in depression symptoms as those given antidepressants. This indicates that much of the perceived improvement may be caused simply by the belief that the medication will work.